Sometimes, when a top ballplayer retires, his replacement is found via free agency. Sometimes, the answer is much closer to home. Sometimes, he’s in the bullpen, ready to take the ball. Such is the solution for FDU. 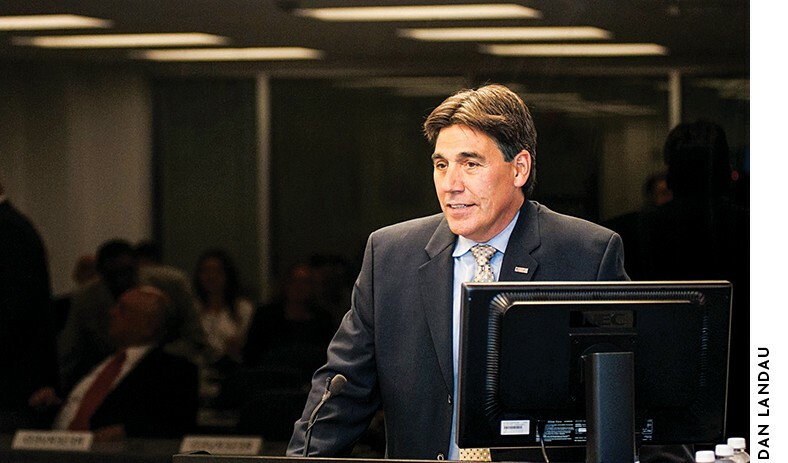 In June 2015, when then-President Sheldon Drucker announced his decision to retire, the Board of Trustees quickly moved to appoint Christopher A. Capuano president-elect. The baseball analogy is appropriate for Capuano, who calls America’s pastime his favorite sport. He’s also coached each of his four children on the diamond or the pitch (soccer) over the years. “Athletics provide lifelong lessons,” the University’s eighth president says, as players handle overcoming a loss or deal with challenges like injuries. Capuano takes the mound knowing firsthand what it’s like to play many positions for FDU. He joined the University in 1986 and has served as a professor, department chair, school director, campus provost, vice provost and, most recently, as University provost and senior vice president for academic affairs — the University’s second highest-ranking position. 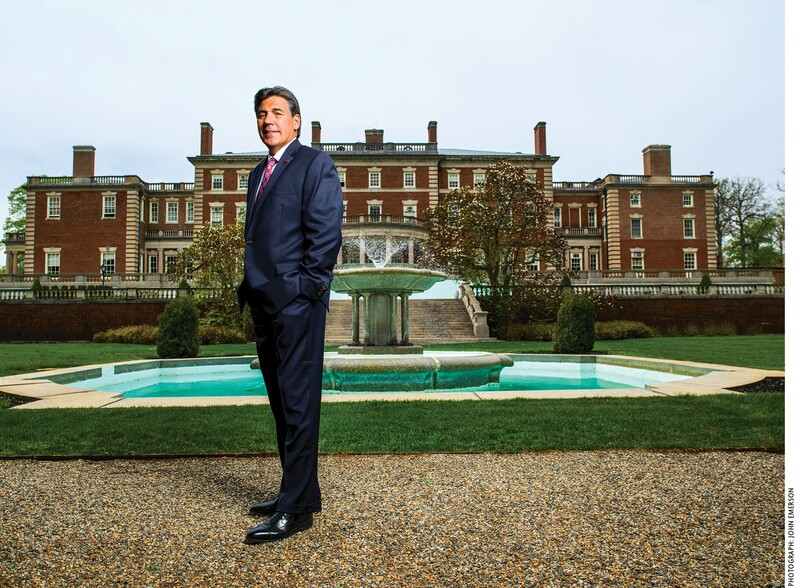 Capuano notes that significant strides have been made in recent years, particularly in increasing FDU’s international presence, with the establishment and success of the University’s Vancouver Campus in British Columbia, Canada, as well as other international partnerships and initiatives. After gaining his bachelor’s degree from Purdue University, Capuano earned graduate (master’s and doctoral) degrees at the City University of New York. Soon after, he began teaching at FDU. 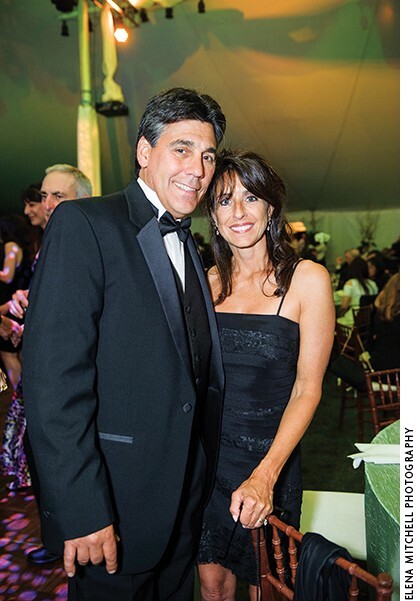 Capuano says his primary ambition coming out of graduate school was to work in the pharmaceutical industry, but he accepted a job at FDU because his wife, Sue, who hailed from New Jersey, wanted to live close to home. “Everything worked out well,” he says. As a faculty member and biopsychologist by training, Capuano introduced and taught key compulsory courses in both doctoral programs in FDU’s School of Psychology. His research included the design, implementation and supervision of experiments in neuropsychopharmacology and health psychology, from planning and evaluating new research to working on the development of compounds and behavioral interventions for clinical use. Early in his time at FDU, Capuano says, “I was interested both in drugs as a tool to understand behavior and in behavior as a tool to understand the structure and function of the central nervous system.” Later, his research shifted to the use of behavioral strategies for managing obesity. Capuano has published numerous abstracts and research articles with colleagues and former students in scholarly journals such as Developmental Brain Research, Pharmacology, Biochemistry and Behavior, Annals of Behavioral Medicine and Obesity Research. He also is a research fellow with The Obesity Society (formerly the North American Association for the Study of Obesity). From 1995 to 2009, Capuano served as director of the School of Psychology. His leadership enabled the school to dramatically raise enrollment, to develop the PsyD program in school psychology and to become one of the largest and more prestigious schools at the University. His many accomplishments in this position include the establishment of the postdoctoral certificate program in clinical psychopharmacology and its transition to a postdoctoral master of science degree. He was instrumental in developing the initial curriculum for the program, which has earned national recognition and is currently one of just a few programs recognized by the American Psychological Association for postdoctoral training in clinical psychopharmacology. Capuano was then named vice provost for international affairs, providing oversight of the University’s Office of Global Partnerships and working closely with the University’s Office of Global Learning to facilitate study abroad and other international initiatives. He was the driving force in developing the University’s Vancouver Campus, providing oversight of academic and nonacademic responsibilities, including the accreditation of the campus and all its programs, hiring faculty and staff, developing and monitoring the campus’s budget and ensuring that the campus met the objectives outlined in its strategic plan. In addition, he served as Vancouver Campus provost for a year during a critical transition period. 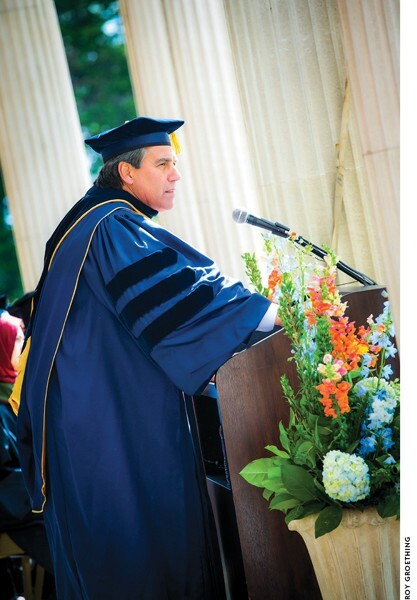 In 2011, Capuano was named University provost and senior vice president for academic affairs. 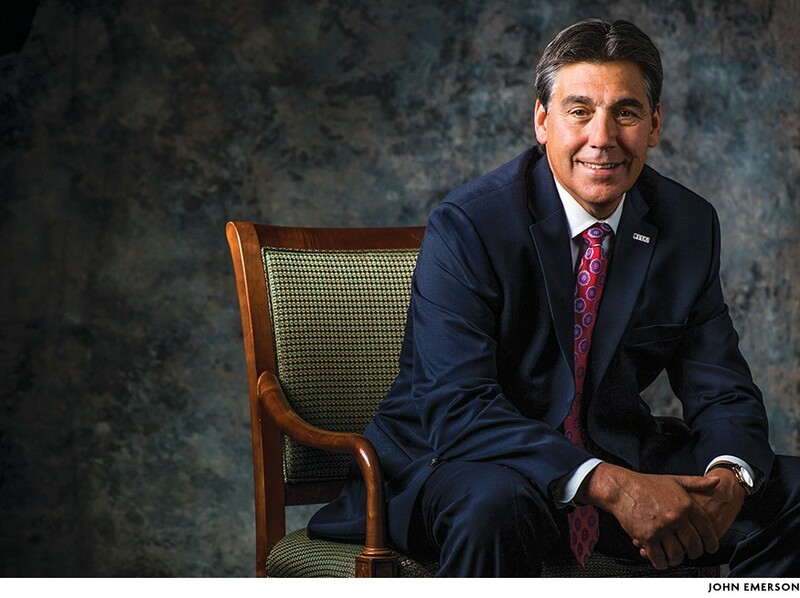 Among many accomplishments, he provided important decision making in identifying and appointing a strong leadership team in the School of Pharmacy, which has resulted in consistent enrollment growth and successful accreditation with the Accreditation Council for Pharmacy Education. He helped secure a large gift to support the University’s Daniel and Martina Lewis Center for Healthcare Innovation and Technology. And he led the development of the University’s 2014–2019 strategic plan, working with then-President Sheldon Drucker, the Board of Trustees and faculty and staff across the University. Christopher Capuano speaks at the unveiling of the Daniel and Martina Lewis Center for Healthcare Innovation and Technology, housed in FDU’s School of Pharmacy. Further, working closely with the community, Capuano has provided the leadership for critical changes to the University’s nationally recognized University Core program, the adoption of the Individual Development and Educational Assessment (IDEA) system for both instructor and course assessment and development, and important changes to the requirements for bachelor of arts and bachelor of science degrees, including the establishment of uniform general-education requirements across similar programs at the University. Capuano knows there are challenges ahead, and he knows there are no shortcuts to success. “It would be great to have more money for student scholarships and more money to support new and improved facilities, but when resources are scarce, it is necessary to be more creative and more resourceful,” he says. Christopher Capuano at the annual Charter Day scholarship dinner with wife Sue. Capuano and his wife, Sue, have been married for 32 years. Their eldest daughter, Marissa, was married this spring, fittingly, on the grounds outside Hennessy Hall on the Florham Campus. She is doing well professionally, as is their second daughter, Briana, who is a senior event manager with a leading experiential event marketing agency. Their third daughter, Alexandra, is entering her senior year at the Florham Campus, and their youngest child and only son, Christian, is starting his freshman year at Gettysburg College. “I really enjoyed my years coaching my children,” he recalls. Today, when he does find time to unwind, he enjoys boating and sport fishing as well as taking long walks with his wife. That philosophy will drive Capuano’s presidency. Ed. note: A version of this article first appeared in the Summer/Fall 2016 edition of FDU Magazine.